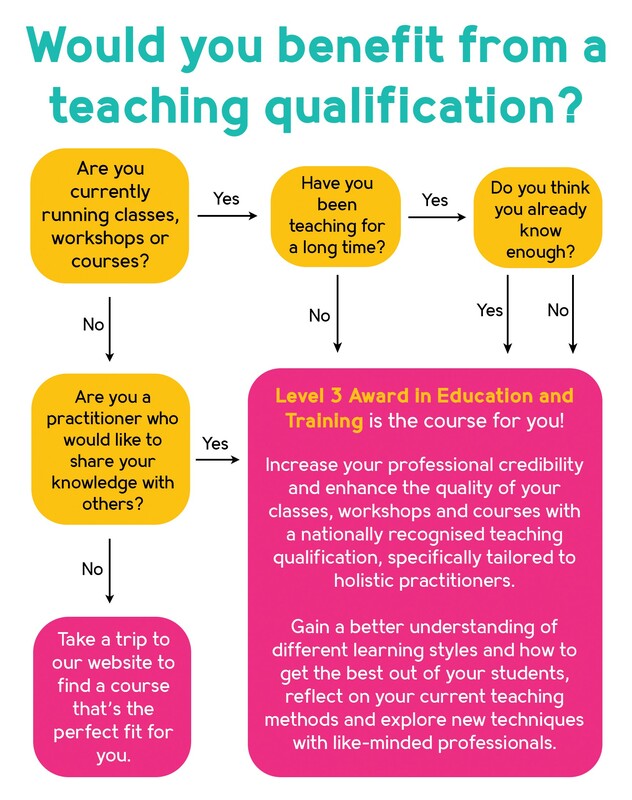 Increase your professional credibility and enhance the quality of your classes, workshops and courses with a nationally recognised teaching qualification, specifically tailored to holistic practitioners. Gain a better understanding of different learning styles and how to get the best out of your students, reflect on your current teaching methods and explore new techniques with like-minded professionals. This initial teaching qualification is suitable for all holistic practitioners with an interest in sharing their knowledge with others, whether you are already teaching or would like to start. Having a formal qualification in teaching gives your students (and future employers) the confidence that you have the skills and training to deliver on your promises. I teach a weekly yoga class – is this course suitable for me? Yes. This qualification is designed to help you deliver a higher quality of class, no matter what you are teaching. I’ve only just started practicing as a therapist – is this course suitable for me? Yes. If you have the knowledge to treat people you also have the knowledge to teach people. I’ve been teaching holistic workshops for years – is this course suitable for me? Yes. This course will provide you with an opportunity to reflect on your current teaching methods and add new techniques to your repertoire. It will also increase your professional credibility, so could help you secure new opportunities in the future. As you will be learning with other holistic practitioners you will be able to discuss teaching and learning with like-minded individuals, which will enhance the learning experience. Is this a proper qualification? Yes – it’s nationally recognised. 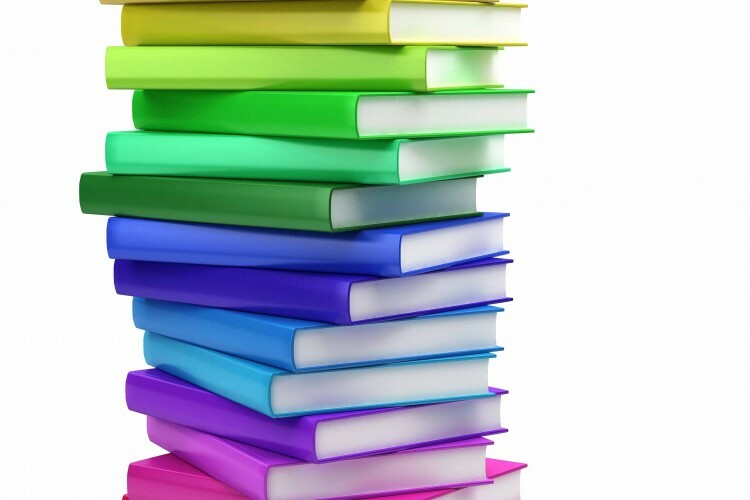 Our courses are accredited by Open College Network West Midlands, which guarantees educational standards. Can I add this to my CV? Do I have to pay for it all at once? No. Staged payments are available to spread the cost. All you have to pay upfront is a deposit of £100 and we can arrange for you to pay the rest in instalments if necessary. This course has no minimum teaching practice requirement, meaning it can be undertaken by individuals who are not currently in a teaching role. It is an ideal qualification for those who have no previous teaching experience or qualifications, as well as those who are already teaching in some way and would like to gain an officially recognised qualification. Do I need to do the Level 2 Award in Education and Training first? No – Level 2 doesn’t exist. Level 3 is the is the introductory qualification to a suite of teaching qualifications, and the perfect starting point for anyone wishing to enter into, or progress in a teaching role. Ideally you will have at least a Level 3 (A-Level/BTEC or equivalent) qualification in the subject you wish to teach. However, this may not be relevant to you – for example, we know that some holistic therapies often have their own non-standard qualifications – so give us a call to discuss if you feel that your particular qualification falls outside of this criteria. Do I have to pass an interview to get on the course? After a preliminary telephone conversation with a member staff, you will be asked to complete a short application form and will be contacted for an informal chat with the course tutor to make sure that the course is a good fit for you. I haven’t done anything this academic for a long time – does that matter? No. As long as you have a reasonable command of English, numeracy and IT you should be able to complete the course. Will it be like going back to school? Students will be encouraged to share their experiences and discuss ideas on the topics taught throughout the course. Our courses are taught in light and spacious rooms within a tranquil Regency terrace, with tea and biscuits at break times – it’s a big improvement on your school days. How much coursework will I have to do? You will be expected to spend approximately two hours a week studying and carrying out coursework in your own time. This includes building a portfolio of evidence, including coursework assignments, to be submitted within two months of the course finishing. There is no formal examination for this qualification but as part of the course you will be expected to deliver a 15-minute micro teaching session to the rest of the group on an aspect of your therapeutic or healing modality. There are slightly different costs depending on when you book and how you pay. The standard course fee is £457. If you book and pay before the early-bird deadline the cost reduces to £427, but if you want to pay in instalments the total cost will be £469. Give us a call on 01242 254 322 and speak to either Kathryn or Julia about enrolling.